We %u201CPrezotech Solutions Pvt Ltd%u201D are well appreciated Wholesale Trader and Retailer of products like Barcode Labels, Barcode Ribbons, Barcode Printer and much more. We are dealing in these brands TSC, ZEBRA, MOTOROLA, HONEYWELL, RETSOL, REALTIME, CITIZEN, AVERY DENISSON. All these Barcode products are designed by our engineers with the use of best business approach and tools. Our engineers are experienced and talented in this realm. They create these Barcode products keeping in mind the market standards. 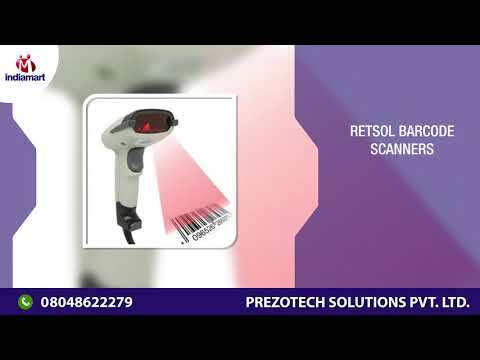 All these Barcode products are handy and useful in many shopping malls, corporates, retailers. They are easy to use and 100% quality assured. Our customers can buy these barcode products from us at market leading rates.